Ninja Training Classes Now Available! 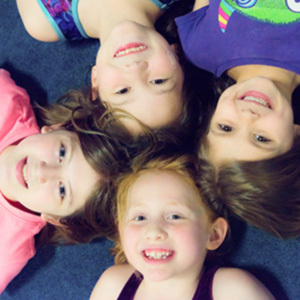 We offer gymnastics and tumbling for cheerleaders classes for both boys and girls ages 2 years through high school at a wide variety of times. This supervised, fun program takes place on select nights from 6­-10pm and includes dinner, playtime in the gym, and a movie! 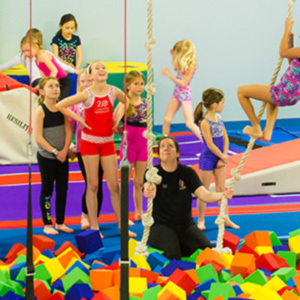 Our gymnastics camps for children ages 4 and up consist of a few days of fun and instruction and include an awards ceremony on the last day. 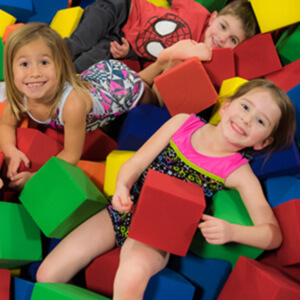 Our birthday parties are sure to please your child and their friends! Parties include supervised playtime in the gym and time for cake and presents!